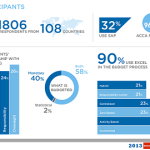 Our latest survey with ACCA revealed that an estimated 90% of businesses are still using spreadsheets for budgeting and forecasting, despite the inherent risks associated with this tremendously flexible tool. At the same time, more than half the respondents also said that they were happy with the current process even though it is Excel or electronic spreadsheet based. This dependence on an ordinary Microsoft Office tool is more a testament to the power of Excel than a commentary on the critical nature of budgeting and forecasting processes. After-all budgeting and forecasting is the cornerstone of planning activities and is something that you are expected to do as you plan for the business year ahead. There are numerous challenges with using Excel and many were revealed in the survey results. Respondents complained about collation, collaboration and coordination tasks that were hampered by the absence of a way to integrally run Excel spreadsheets in a consistent and structured way. Survey respondents mentioned considering the adoption of a tool or packaged software product to help with coordination activities as a possible solution, In reality many of these tools and products are too prescriptive and restrictive, and ultimately don’t meet the needs of the business even when the organization is large or complex. Our findings also indicated that even with the use of these tools, although you are able to budget and forecast more frequently, they don’t significantly improve the precision in the process they simply make doing it more often – more palatable. Rather than proposing that you abandon spreadsheets for a constraining tool, like a standard budgeting and planning tool, Winshuttle proposes that you look at a more complementary approach to manage your spreadsheets and collaboration scenarios. 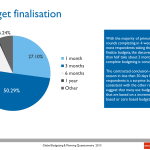 With a Winshuttle approach to budgeting and forecasting, with/or without an ERP backend you have choices. You can retain your existing spreadsheets and wrap them with controls like versioning, workflow and tighten integration with some of the inherent SAP budget, planning and forecasting transactions and APIs. Winshuttle Foundation facilitates end-user designed and implemented workflows with SharePoint, based document management and versioning. The retention of the spreadsheets is perfectly aligned with the inherent desire of businesses to be able to complete ad-hoc “what if” scenario building, annotation and mass budget data creation and maintenance scenarios. Alternatively you can use Winshuttle forms to manage the decision making process around individual budget activities like assignment, allocation, etc. Even with a forms-based approach you can handle multiple cost or profit centers, statistical values and pretty much any aspect of your budget planning, forecasting or allocation process. 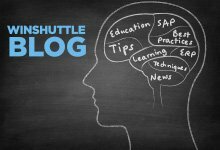 Again, if you want a tight integration with your back-end system of record this can be achieved natively with SAP or with one of the numerous plug-ins that the Winshuttle Foundation forms approach supports. For audit purposes the Winshuttle approach brings greater satisfaction because the history and transparency of the decision making and action steps are clearly laid out in an easily understood and accessible way. The primary benefit of integrating Winshuttle based processes into your current spreadsheet budgeting process is the opportunity for more accurate and inclusive budgeting with improved transparency in the process and the opportunity to reduce budget cycle time. 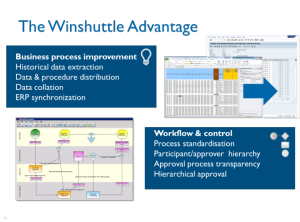 Winshuttle customers often report that they can move to more frequent or accelerated budgeting as a result. 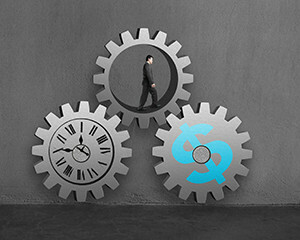 An improved budget and forecasting process leads to more time for more considered analysis, rather than trying to deal with malformed and disparate budgeting processes. By leveraging the inherent strengths of your existing ERP for your ‘single source of truth’ and maintaining ERP data in real time for environments that users are familiar with, like Microsoft Excel – users can quickly determine where best to allocate resources, cash, and personnel.